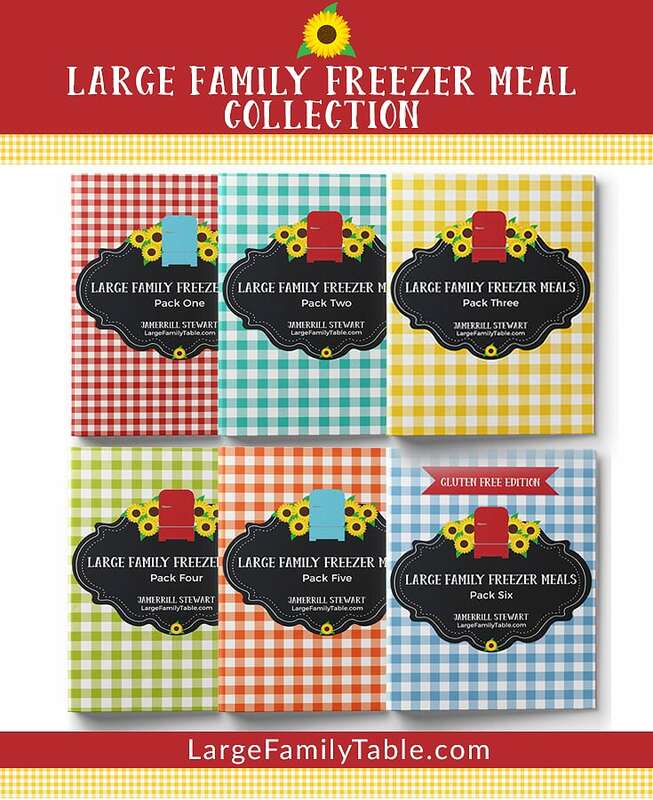 I love to fill my freezer full of delicious freezer meals for my large family. Having meals on hand in the freezer gives me the gift of flexibility and freedom. I don’t know about you, but around here I need all the help I can get. Having a freezer full of prepped freezer meals that are ready to go is a gift to myself! Today I’m sharing the BEST freezer cooking methods to help you fill your freezer fast! We all know that many days, weeks, and months are different. Time moves fast and the unexpected can be expected. We need different strategies to help us get these freezer meals done based on the dynamics of the time. These freezer cooking methods will inspire you to get your freezer meals done using a variety of options. In a perfect world, I love to get in 1 to 2 dedicated freezer cooking days a month. Now we all know there are months when this doesn’t happen. But more often than not I’m able to get in these dedicated freezer cooking times. During these mega freezer meal making sessions, I’m able to prepare 40 or more meals for my family of 10 that we use as needed over 4 to 6 weeks. This is a classic method to fill up your freezer with favorite freezer meals when you can’t or simply don’t want to give a dedicated day or two for freezer cooking. You can go standard and simply double the meal you’re making to have enough for dinner that night, plus enough left to freeze for an additional freezer meal. Why just make one pan of lasagna when you can make four? Why make one pan of chicken fried rice when you can make five? This is a great freezer meal plan for when you’re preparing for a new baby in the house and physically can’t cook for one to two days as well. Of course, during my last pregnancy, I turned an intended 1-2 freezer cooking days into a 4 or 5 freezer cooking marathon because my pregnancy body was moving in super slow motion. This is when you take several hours one afternoon and make as many freezer meals as you can during that time. In 2-3 hours you could make 2-3 freezer meal recipes and make those freezer meals large family size so you get 3-4 (or even 5+) pans of each meal. That means you could potentially (depending on the afternoon in your household) pull off 6 to 8+ freezer meals in this afternoon freezer cooking time. In the same spirit of afternoon freezer cooking, you can get in a few hours of freezer cooking in the evenings, depending on the flow of your household. Let the kids watch a movie with daddy while you cook up the kitchen from 6-9 pm. Make it work for you, as always! Having a freezer cooking power hour is an excellent method when you want to fill up your freezer, but you truly only have an hour. My friend Crystal Paine has shared her freezer cooking power hours many times over the years. She can usually get a few intentional meals added to her freezer stash for her family of five during that time. If you’re feeding a family twice that size or somewhere in-between you could at least get one mega large family freezer recipe done during that time like twelve dozen french toast slices for several future family breakfasts! I also have a BIG freezer meals surprise for you today! 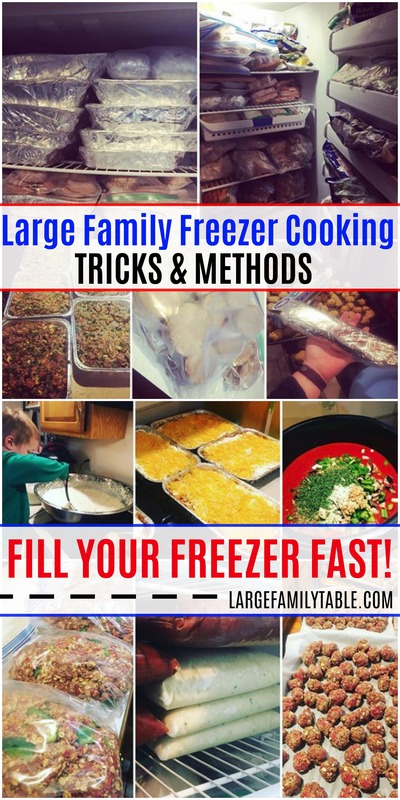 So many YouTube and blog reading moms have asked me for a long time to come out with a resource to help them make large family freezer meals, too. I hear from moms who want to get started on their freezer cooking journey, or they have made freezer meals for years but want more of my large family recipes. 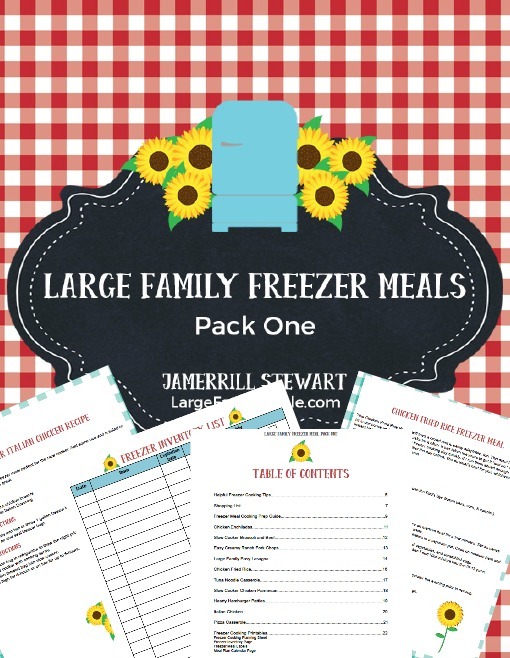 Today I’m releasing not one but THREE new large family freezer meals packs to help you with your large family freezer cooking! 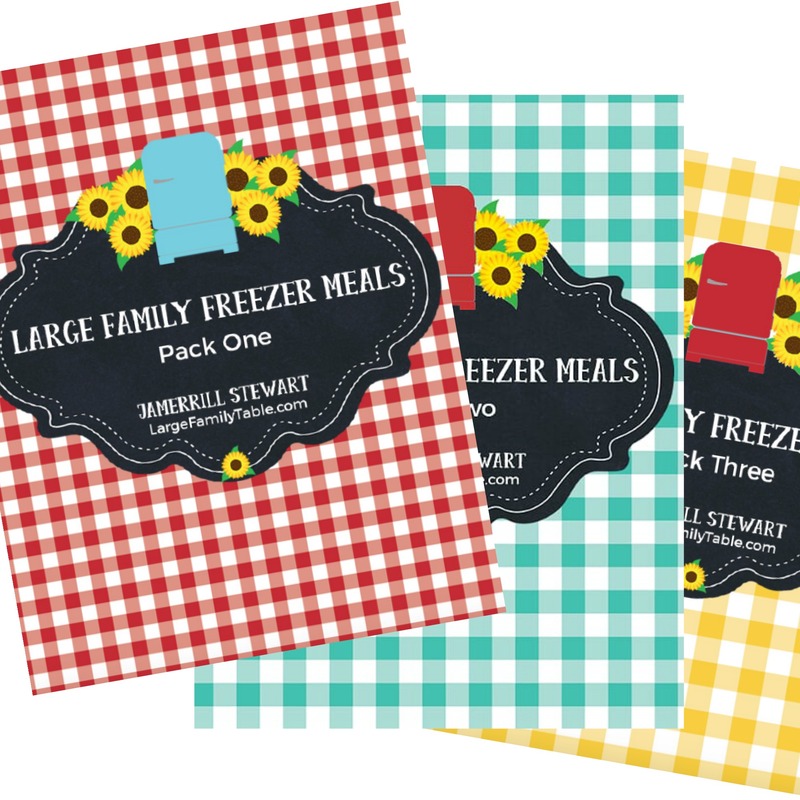 Get all three packs in the brand new pack 1, 2, 3 freezer meals bundle for the best value. Nice, Jamerrill! I love the packs you are offering now. I find that I go through seasons of different types of freezer meal cooking. When my life and budget start to get out of hand, I find a couple days freezer cooking (like I did in April) was wonderfully helpful. Now, as I take a look at the new school year, I find I am more focused on the once a week method. I am positive though, by October, I will be doing a massive 40 dinner freezer cooking session.